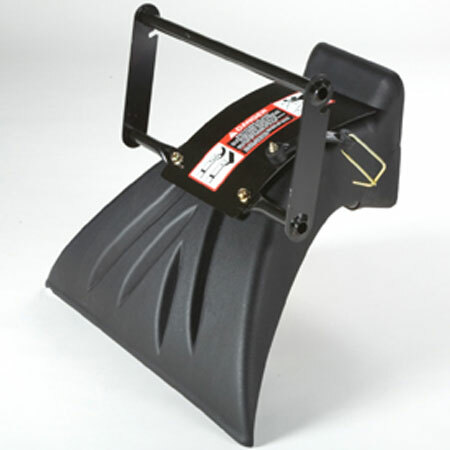 Optional rear deflector for X300R Rear-Discharge Tractor easily installs in place of hopper. No tools required for installation. Wishing I had purchased this deflector 5 years ago when I first bought my X300R. This device makes good sense for use during most of the grass cutting season. The plan is to use the deflector most of the time and then in the Autumn when the grass grows faster and tree leaves fall, remove the deflector and put the 8.5 bu hopper back in place. 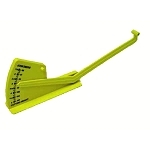 Overall, using the deflector is a fast, efficient, preferable way of mowing a lawn. When Bagging clippings become more beneficial than mulching or discharging the clippings It then is a simple matter to remove the deflector and mount the hopper.